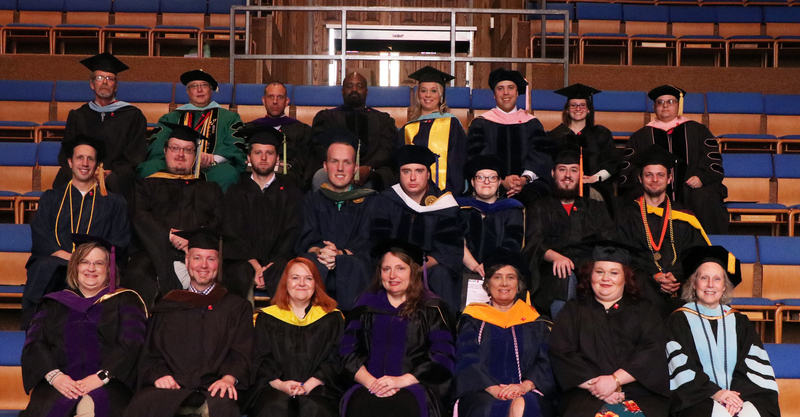 Twenty-four faculty members at Alderson Broaddus University earned a nationally recognized teaching credential co-endorsed by the Association of College and University Educators (ACUE) and the American Council on Education (ACE) during a pinning ceremony on April 13. Faculty demonstrated their commitment to student success by completing a year-long “Effective Teaching Practices” course to equip them with the instructional skills shown to promote student motivation, learning, and persistence. To earn their Certificate in Effective Instruction, faculty members completed an evidence-based, 25-module course that requires them to learn about and implement new teaching practices in their courses and reflect on the experience. Aligned with the latest research in cognition and adult learning, ACUE’s courses address over 200 evidence-based teaching practices, covering how to design an effective course, establish a productive learning environment, use active learning techniques, promote higher-order thinking, and utilize assessments to inform instruction and promote learning. Faculty will continue to learn about pedagogy and receive career-long support through ACUE’s Community of Professional Practice, which provides access to member forums, expert webinars, biweekly newsletters, the ‘Q’ blog, and “office hours” with leading scholars in college instruction. 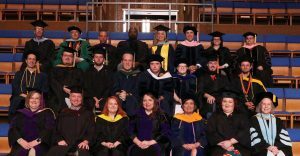 Alderson Broaddus (AB) University is a private, four-year institution of higher education located on a historic hilltop in Barbour County in Philippi, West Virginia. Since its founding in 1871, AB has been a leader and innovator in higher education, with accolades in the health and natural sciences. 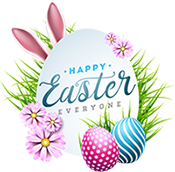 About ACUE: The Association of College and University Educators (ACUE) believes that all college students deserve an extraordinary education and that faculty members play a critical role in their success. In partnership with institutions of higher education nationwide, ACUE supports and credentials faculty members in the use of evidence-based teaching practices that drive student engagement, retention, and learning. Faculty members who complete ACUE courses earn certificates in effective college instruction endorsed by the American Council on Education. ACUE’s Community of Professional Practice connects college educators from across the country through member forums, podcasts, and updates on the latest developments in the scholarship of teaching and learning. To learn more, visit acue.org.